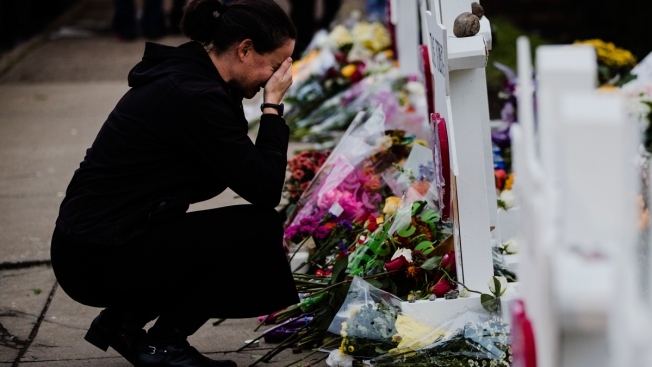 A woman pays her respects at a makeshift memorial in the aftermath of a deadly shooting at the Tree of Life Synagogue in Pittsburgh, Monday, Oct. 29, 2018. "I thought maybe I don't belong here. So I called my brother and I said, 'pick me up,'" said Perkins, 19, a freshman at the University of St. Thomas, a private and mostly white school in St. Paul, Minnesota. "He said that's what they want you to do -- you have to stay there and stay strong." 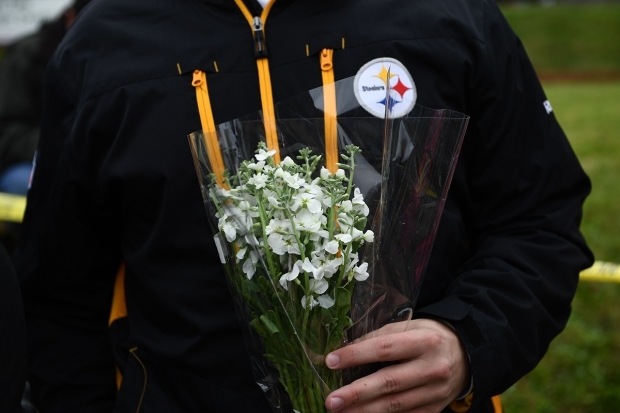 Often overlooked amid the recent intense spasms of hatred -- 11 dead in Pittsburgh synagogue, two African-Americans gunned down in a Kentucky grocery store, 13 mail bombs sent to prominent Democrats -- are nearly daily flashes of hate that are no less capable of leaving their victims with deep and permanent emotional wounds. President Trump's critics have accused him of fanning the flames with his divisive political rhetoric -- something the president pushed back against Friday. He put the blame back on reporters for "creating violence" with fake news stories.